Follow along with Becca’s blog this January, where she will be interning in Silver Spring, Maryland, with Luther alumni Sara Goldberg and Humanity and Inclusion (HI). She will be working as an intern with HI by editing, writing, researching and collaborating with their staff. She is excited to travel again after spending last year abroad in Nottingham, England and will share her travels around the Washington D.C. area. 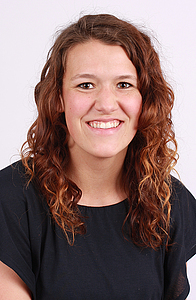 Additionally, she will share information about her role as a Strengths Assistant in the Career Center at Luther College and how her Top 5 Strengths [Woo, Communication, Positivity, Input, Ideation] will help her in this new position for the month of January. 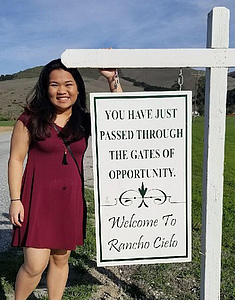 Ploy went to Salinas, California to intern with the Monterey County Office of Education and Rancho Cielo Youth Campus. Ploy worked with many young people who were on probation and expelled from the school system. She monitored each student’s progress on an expulsion plan, and worked on a transition plan for seniors. While in Rancho Cielo, she also lived in a Transitional Housing Program. Here, she worked with residents transitioning into independent living. 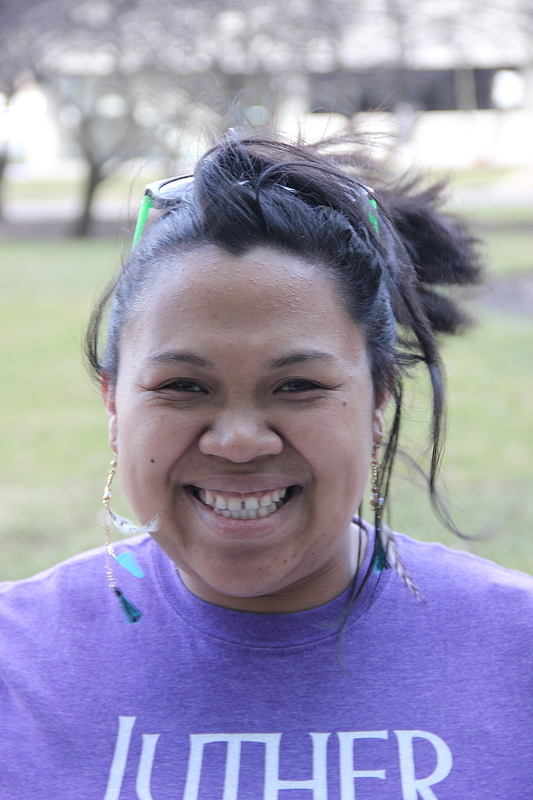 The experience furthered Ploy's confidence and passion for working with at-risk youth. She also gained invaluable knowledge about the challenges social workers face. She looks forward to more professional experience with this population. 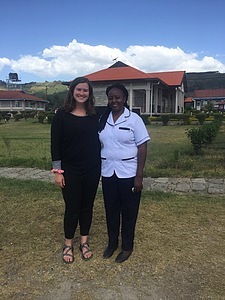 Madeleine interned at a Children's Charitable Insitution in Naivasha, Kenya. She assisted with child intake at the Light of Hope School and Home for Girls (LOH). During January, she went into the community to assess homes with girls in need of schooling or a safe place to stay. The government, as well as individuals seeking help, referred these cases to LOH. Many of these girls had backgrounds of poverty, abuse, neglect, abandonment, hunger, or sexual assault. Madeleine collaborated with the social work staff at LOH to bring in three new girls. Her duties also included taking care of the girls while in the LOH dorms. She also created the first home assessment form for their social workers to use. Luther's education helped provide her with the wide range of tools she needed to complete these tasks. Madeleine felt fortunate to have had this once-in-a-lifetime opportunity. Daniel is a sophomore majoring in Social Work and Psychology. 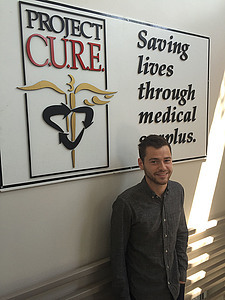 During January, Daniel interned with Helping Services for Youth and Families. The experience was rewarding and helped him to personally grow while in the field. Working with professionals made him realize how important social workers are in our community and in our society. All the staff encouraged him, but at the same time challenged him to push himself to the limits. This experience enlightened him about how our society challenges people that are struggling within their own environment. Onward participated in the Research in Industrial Projects for Students (RIPS) at the Institute for Pure and Applied Mathematics (IPAM). 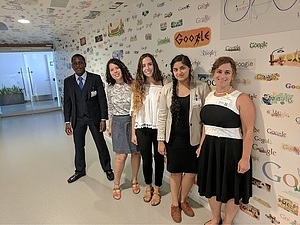 There he worked with a team of other undergraduate students from around the world. They executed projects sourced from businesses such as Google, LAPD, and Aerospace. Through this program, Onward learned how to write research reports, manage time effectively, give oral presentations, and work in teams. The program further developed Onward into a well-rounded mathematician as he learned the importance being able to articulate and explain mathematical concepts. As someone who is planning on pursuing Applied Mathematics at the graduate level, this internship solidified Onward’s aim to pursue studies of mathematics and its applications. 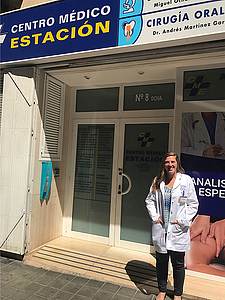 This summer, Kjerstin shadowed doctors, receptionists, and various staff members of a private medical clinic called Centro Médico Estación in Alicante, Spain that specialized in helping patients balance a healthful lifestyle. One of her responsibilities was helping the staff with daily tasks. She also learned how to connect with patients when giving uncertain or unfavorable news and how to help patients feel at ease from the moment they step in the door. 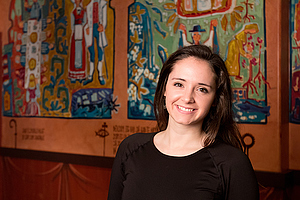 Kjerstin found that she was able to apply much of what she learned in her biology and Spanish courses at Luther to her internship in Spain. She gained confidence in being able to contribute positively to a healthcare environment as well as developed a new understanding of her patients. To Kjerstin, the warmth and care of those who took her under their wing was the greatest reward one could receive from this experience. 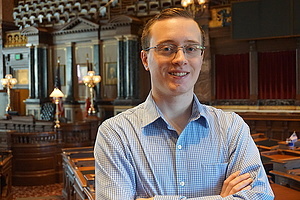 Alex began working as a communications intern in May of 2017 for the Iowa Senate Democratic Research staff. There he managed various Democratic senator’s Facebook pages and websites. He also recorded, edited, and produced videos for the senators’ social media. Included in his list of tasks was writing and editing press releases. Alex sharpened his writing skills, produced quality videos, and learned the importance of communications in the world of politics. He enjoyed the beautiful sights of the Iowa State Capitol and the chance to work with several state senators. Alex was able to gain firsthand knowledge and insight on politics. His experience and work at the capitol building helped Alex to reignite his passion and enjoyment of working in the political world. Matthew has interned with the Clinton Area Showboat Theatre since high school. 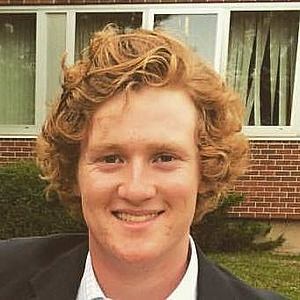 While interning, he performed in mainstage productions each summer. Another duty was working in the costume shop, scene shop, and box office. Matthew and other interns also attended workshops about acting, dancing, and singing which were led by professional performers. At the end of the season, the interns put on their own show showcasing what they learned. Once Matthew began his studies at Luther, he was promoted to administrative and secretarial duties for the company. This allowed him to gain even more professional experience. Matthew loved having a voice in running the theatre. Even with these extra jobs, Matthew was still able to perform in the mainstage productions as an actor. These experiences and the connections he made were very rewarding. Matthew is most grateful for the influential and professional artists he met at the Showboat. After all, in theatre, connections mean everything. For twelve weeks Sthela worked as a Research and Evaluation Intern as part of the International Leaders Program (ILP) staff in Chicago. Her main task was to facilitate conversations on gender justice within the ELCA Global Mission unit. This unit’s overarching goal was to collect data on ELCA’s work concerning gender justice with its global partner churches. While working with the ILP staff, Sthela learned how to organize meetings and facilitate discussions. Her greatest insight from the internship was realizing that conversations about transforming masculinity are key to promoting gender justice. As an aspiring women’s rights activist, Sthela’s internship enabled her to gain real-life experience on the work she wishes to pursue after graduation. 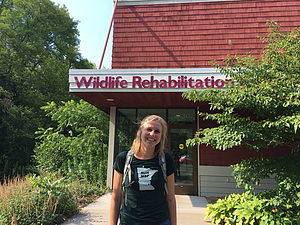 Anna spent her summer interning at the Wildlife Rehabilitation Center of Minnesota (WRC). There, she assisted with the rehabilitation of animals and observed their development. She worked primarily in the mammal nursery, where she fed and cleaned the cages of baby mammals. Anna not only kept track of the needs of the different animals, she also spent time preparing the animals for their eventual release back into the wild. The internship taught her how to care for animals and monitor their development. The goal of the WRC to educate the community and protect the environment moved Anna. She loved watching the animals heal at the center, and this experience made her more interested in working with animals in the future. Abby spent her summer examining kidney biopsies from all over the world at the University of Minnesota. She worked with diabetic patients and with patients who have a rare genetic disease called fabry disease. Abby used a technique called Transmission Electron Microscopy, which sends electrons through a biopsy to create images. These images focused on the glomerulus, the first step in the kidney’s filtration process, and the renal medulla, the innermost part of the kidney. The doctor overseeing the lab used Abby’s images in his research, which encouraged her and the other interns. The lack of funding for the research surprised Abby, but she was impressed by how well the lab overcame that hardship. Abby’s experience reaffirmed her passion for the biomedical sciences, as well as gave her a newfound appreciation for coffee. 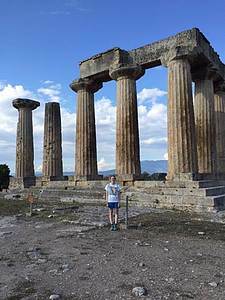 Megan interned at the Isthmian Archaeological Museum in Corinth, Greece. There, she cleaned, labeled, and bagged pottery sherds discovered at the Roman port of Kenchreai to be drawn, photographed, and cataloged by the museum. Megan also worked at the Cummer Tomb clearing away overgrown vegetation and dirt. Additionally, Megan worked at the remains of a Roman Basilica where she cleared more vegetation and unearthed tile and Mosaic flooring. This internship taught Megan how to handle, clean, and catalog artifacts. This experience also gave her an understanding of learning about the past based upon what others have left behind. 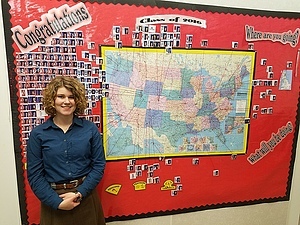 The most rewarding part of her internship was being able to interact with history outside of a classroom setting. Megan was able to physically see where people used to live and interact and use what they left behind as a different approach to studying the past. 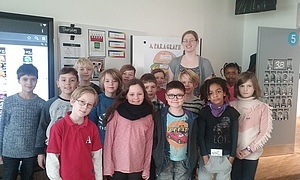 Annika spent Spring semester in Denmark working with elementary students in the Copenhagen International School. She provided day-to-day assistance to teachers in five different classes. This internship has been a homecoming of sorts for Annika; she attended the Copenhagen International School as a second-grader. During her internship, she was intrigued to discover what had changed and what remained the same. For example, the building was remodeled, but many of the teachers were the same. Annika even got to work with her former second grade teacher! Her favorite part of the position was interacting with the students. As a political science major, Annika found it interesting to learn how children in Denmark view the United States. A challenge in this internship was finding different strategies for students of varying ages. Fifth graders benefit from constructive feedback, while third graders often struggle to stay focused on their work, she learned. 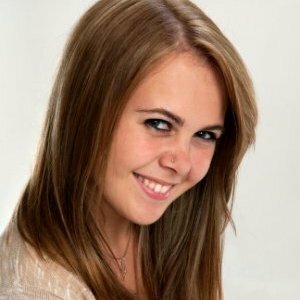 Annika is glad she chose to pursue an internship abroad, as it allowed her to study different cultures. 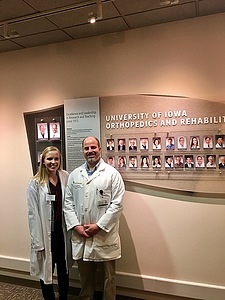 Haley spent the month of January shadowing ten different doctors in the Family Medicine, NICU, Orthopedics, Trauma, Digestive Disease Clinic, Obstetrics, Gynecology in the Labor and Delivery Unit of the University of Iowa Hospitals & Clinics, as well as at Mercy Hospital. She learned how to assess patients and was taught the SOAP (Subjective, Objective, Assessment, and Plan) method for treating them. Haley’s favorite part of the month was helping deliver babies. These skills will help her throughout medical school and her residency. 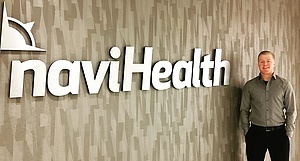 Since she is pre-med, this internship reinforced her passion for healthcare and helped her narrow her career path. 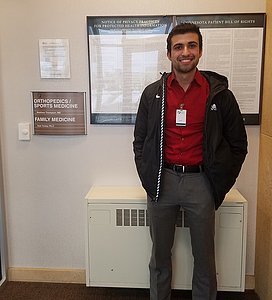 In January, Logan Ardovino shadowed counselors at Park City High School in Park City, Utah. Her mentors taught her how to stay composed and level-headed under pressure, which was helpful when she gave juniors advice for finding the perfect college. Logan also met with students going through personal struggles, giving them suggestions whenever possible. She realized how important it is for students to learn to overcome any problem they encounter. If they can't, Logan wants to be someone to whom they can turn. Whether this means she will guide them through a rough time or just lend a comforting environment, helping others is valuable to her. 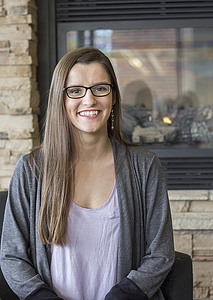 While she isn't sure if she wants to be a school counselor in the future, Logan's experiences solidified her desire to work with children or young adults. 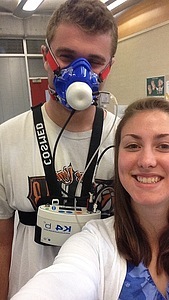 Over January Term, Jonah Gehrt attended three internships in Rochester relating to his neuroscience major. He assisted physical therapists in treating patients at Samaritan Bethany. His time at Olmsted Medical Center included shadowing physicians and asking procedural questions. At Mayo Clinic, he got to work in a laboratory setting, sit in on lectures, and help create cell cultures. In each internship, Jonah applied material he learned from his courses to a more professional setting. He also experienced the work ethic required to succeed in his field of study. The relationships he formed with patients at Samaritan Bethany were especially rewarding to him. They inspired him with their conversations. He loved forming relationships with people that went beyond everyday small talk. By talking with others, Jonah learned a lot about himself. He is excited to have similar opportunities to do so as he continues pursuing neuroscience. 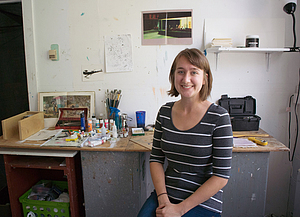 In January, Emma worked as an administrative intern at Lanesboro Arts. 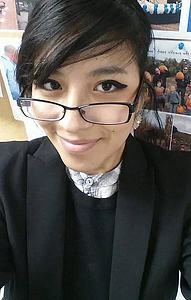 During her internship she reorganized the office filing system, helped maintain the website, wrote press releases, scheduled posts on social media, aided in grant writing, and helped install the Smithsonian Water/Ways exhibit. One of her projects was writing content for the website on the history of the organization. This involved interviewing staff as well as reading through old newspaper articles. An important skill Emma learned through this process was how to communicate in a variety of mediums, with an emphasis on clarity. Another rewarding part of her internship was working with so many great people, particularly alumna Kara Maloney ’16. Kara was Emma’s supervisor for this internship, and served as a supportive mentor. 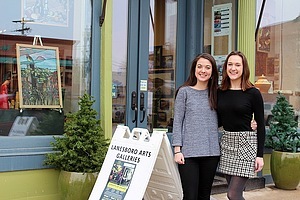 Lanesboro is a small, tight-knit community, so Emma was able to make many other wonderful connections. This experience shaped her post-graduation ambitions. Over the summer, Emily traveled to the University of Newcastle in Newcastle, Australia. She worked as a research intern at their Priority Research Centre for Physical Activity and Nutrition. Her research projects targeted nutrition, weight loss programs and management, and physical therapy. Emily learned skills such as the logistics of conducting wellness research on human subjects. She was also taught how to perform exercise tests. Over the course of her internship, Emily loved working with a physiotherapist the most. She researched methods that increase limb functionality in patients who have suffered strokes. Her experiences helped solidify her plans to be a physical therapist in the future. 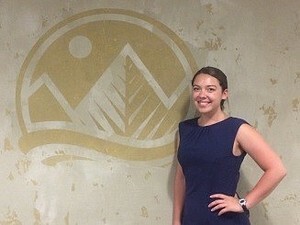 Megan was an audit intern on the commercial team for RSM US LLP. Each week she was assigned to a different client to perform an audit procedure on employee benefit plans. She acquired communication skills through her interaction with both client contacts and teams on each of her engagements. She learned how important time management was when juggling multiple clients at the same time. Megan enjoyed using the skills she learned from her classes and feels that Luther sets its students up for success. The accounting field is demanding and ever-changing, and she is fascinated by the fast-paced environment. Through her experience with RSM, she gained a deeper understanding of herself and the career she is looking for. Brody was the personal intern for Project C.U.R.E.’s head of IT and Data Management. He used his skills to improve the organization’s volunteer database with HTML. He developed a digital newsletter, cleaned up their Customer Relationship Management, and compile a monthly marketing analytics report. Going forward, Brody continues to produce a bi-monthly statistical analysis of Project C.U.R.E. 's requests for and shipments of medical supplies. He learned a lot about the small margins of non-profit organization works under. Brody gained a clear view of his hopes for the future and respect for people working in the non-profit industry. 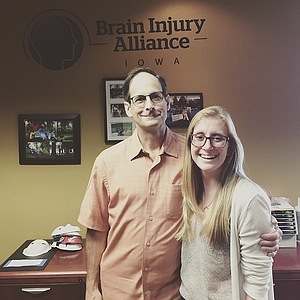 Over the summer, Allison had an internship at the Brain Injury Alliance of Iowa in Iowa City, which allowed her to learn more about brain injuries, writing monthly newsletters, and interviewed survivors. The biggest project she worked on is a Comfort Kit for families who have a loved one in a trauma room. Allison learned how to act professionally when talking to others as well as keep people calm. She learned organizational skills as well as ask questions when she needed help. The most rewarding part of her internship was knowing she made a difference in someone’s life everyday. This internship strengthened Allison’s passion for psychology and she feels ready to face the world. Sthela shadowed three social workers at Lutheran Senior Life in Zelianople, PA where she was taught how to conduct interviews and interact with residents. She also gave a presentation on Madagascar, her home country, and how to build relationships with her residents. Sthela has gained skills in verbal communication. Her passion for social working has only increased, and her understanding of the importance of human relationships has grown. Anna worked this summer at the PACER Center, a group who advocates for children with disabilities. 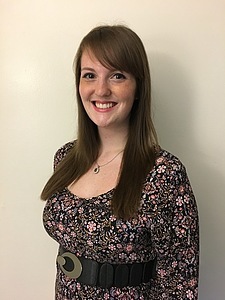 She wrote articles that will be featured in PACER's bullying prevention materials, completed policy research on harassment laws nationwide, helped design bullying prevention videos, and learned how to redesign blogs. Anna saw the impact of her work through the PACER around the nation, especially with people with disabilities. She realized her passion for advocacy and how fulfilling nonprofit work can be. Anna is excited to say it opened her eyes to the vast world of the nonprofit industry and how valuable they can be for the world. 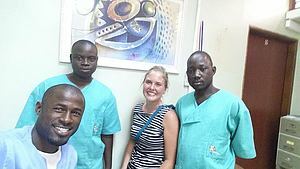 Sidney spent her summer in Togo, interning as a dental assistant at the Cabinet Dentaire SOS Dentiste. Her duties involved general daily procedures such as teeth cleanings, and she even got to occasionally pull teeth and administer anesthesia. 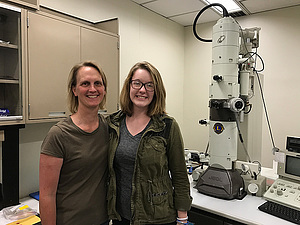 Throughout the process, Sidney learned the tools of the dental trade—including the French names for dental instruments, as much of her internship was in French! The experience was most rewarding when dentists began relying on her to assist them without instruction. Sidney now hopes to move to Togo upon graduation from dental school. Linnea spent her summer at Vesterheim Norwegian-American Museum working as the assistant to the head of the folk art classes. She helped manage classrooms and various projects such as making posters and translating Norwegian books. Vesterheim does a wonderful job educating Scandinavian trades by teaching classes such as rosemaling, wood carving, and Norwegian baking. Linnea quickly learned from the internship that little things matter, and how communication skills play a huge role in a successful organization. She loved that she gained hands-on experience with Norwegian traditions and learning more about her passion for Nordic Studies. Linnea is excited to pursue her career interest in these traditions by researching and keeping Norwegian traditions alive. 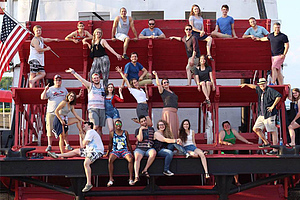 Jane spent this past summer working as an artistic intern for the Playwrights’ Center in Minneapolis, Minnesota. The nonprofit organization helps playwrights around the country develop new projects by hosting workshops, seminars, master classes, and providing other writing resources. Jane’s main duties included stage managing and researching playwriting opportunities for the Center to promote to its members. Through this experience, Jane gained experience in management and organization, as well as familiarity with the collaborative writing process. She felt that the opportunity to witness the creation of art and process of artistic discovery firsthand was especially rewarding. Jane enjoyed spending every day among people who are even more passionate about theatre than she is, and seeing new stories and ideas take shape. 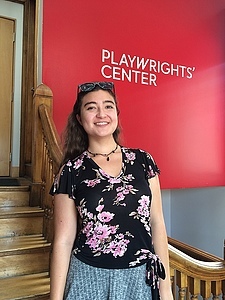 Working at the Playwrights’ Center helped Jane discover that there is an abundance of unique ways she could use her major beyond just teaching or writing, all of which would allow her to continue expressing her creativity and contributing to the world artistically. 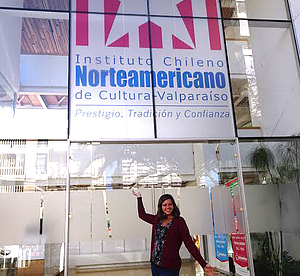 Samantha spent her summer teaching English as a second language to native Spanish-speaking Chileans at various ages and ability levels at the Instituto Chileno Norteamericano de Cultura in Chile. Tasks ranged from simply assisting with basic pronunciation to creating and executing entire English lessons for middle school students. Along the way, Samantha improved her Spanish skills while also learning about the intricacies of teaching her own language, English, as a native speaker. 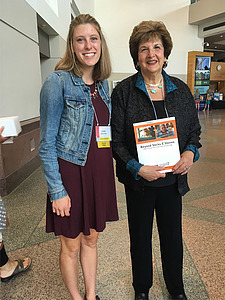 Because of this experience, she is strongly considering teaching Spanish, instead of her originally-intended English as a Second Language aspirations. 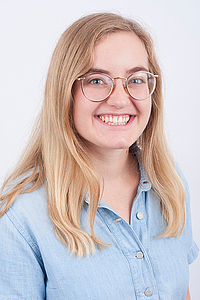 Where: Susan Davis International, Washington, D.C.
Elizabeth spent a semester at Susan Davis International in Washington, D.C. As a public relations intern, she helped draft press releases and brainstorm public relation plan ideas, among other tasks. 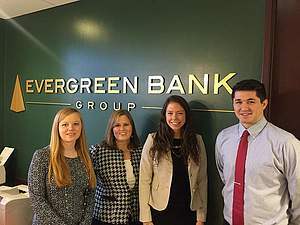 To complete these tasks, Elizabeth found that many skills such as interpersonal communication and articulate writing were essential to her internship. 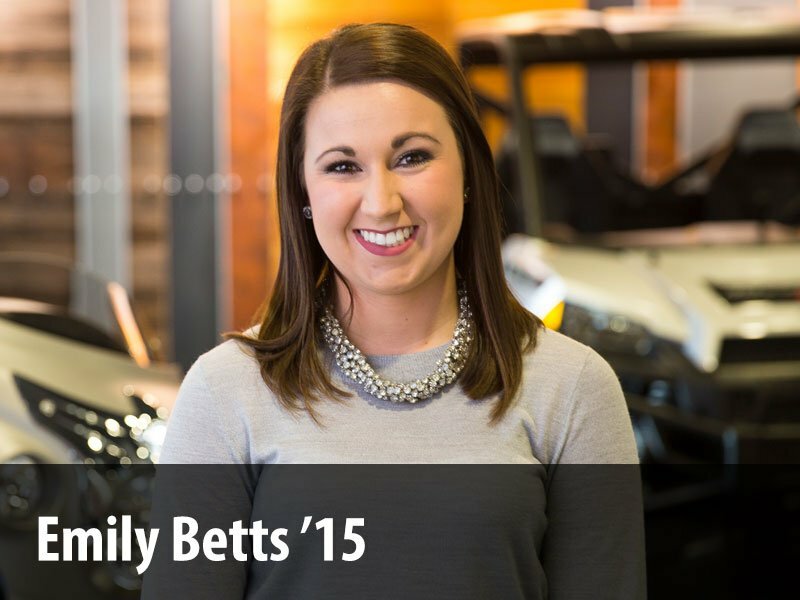 Elizabeth was able to use the skills she learned in her classes at Luther to help her succeed. One of the most important skills she developed was how to accept and grow from her flaws. Despite the challenges she faced, Elizabeth was able to embrace and overcome them. Most rewarding to Elizabeth was how much she had grown over the course of the semester. This growth mindset is what she will continue to apply towards her career field. 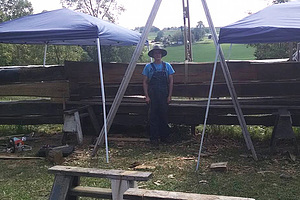 Alex completed an internship at Folklore Village during the summer after his first year. Most of his time was spent assisting in the reconstruction and restoration of the 1848 Aslak Lie Log House. Through this experience, Alex gained a better understanding of the life of Norwegian immigrant Aslak Lie and Norwegian culture. He was also able to practice his Norwegian, as they frequently spoke the language on the work site. Alex found that his work was an intriguing way to be tangibly exposed to history, and that it made history interesting and accessible--something he thinks is important to the survival and expansion of the field. He was challenged to think about history beyond the context of textual evidence, using physical evidence to learn more about Aslak Lie. Alex’s work also put his understanding of Norwegian culture to the test. In addition to completing this internship, Alex contributed to summer research with the Nordic Studies program on Norwegian social, political, and religious life in the 1830s. Working with Folklore Village allowed Alex to contextualize what he’d learned in his history and Nordic studies classes and gain a better understanding of Norwegian culture in the 1800s. 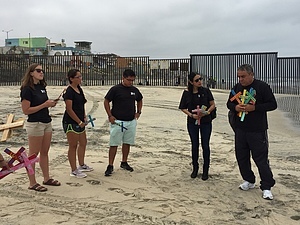 For six weeks over the summer, Emily completed an internship as a community outreach coordinator for Border Angels in San Diego, California. She worked with Luther grad Marlon Henriquez ’15 to facilitate free immigration clinics and lead student groups to the US-Mexico border. Emily also started an initiative to donate leftover school lunches to refugee camps and provided water for migrants in desert areas. Her experience showed her firsthand what difficulties people experience as migrants in that region. Because of her internship in San Diego, Emily feels she has grown as a global citizen and has solidified her plans to become an immigration lawyer. The Vesterheim Norwegian-American Museum is dedicated to the preservation of the immigrant story through their objects, traditions, and artwork. For her internship, Miranda worked with the museum’s Chief Curator to update the Fine Art Collection’s records and gain notoriety for the collection on a national level. Specifically, she worked with the Smithsonian Database of American Painting and Sculpture to get 452 new pieces from 96 different artists registered for public use and study. Not only was it exciting to get to work so closely with the collection pieces (both through their records and physically handling the works), but Miranda enjoyed helping the collection grow and bringing attention to the hidden treasures of this “small-town” museum. Where: Public Leadership Education Network, Washington D.C. There is no single path to success; having a wide variety of experiences is best. 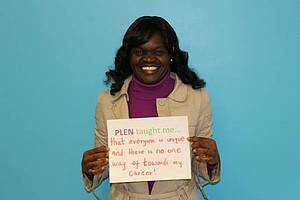 This is what Sukeji took away from her internship at the Public Leadership Education Network (PLEN) during January Term. This nonprofit organization was an opportunity for exercising leadership in areas of public policy. Sukeji attended several sessions where women from various agencies and organizations shared their experiences. From these speakers, she learned that communication is essential. This is true for negotiating in professional settings and illustrating experiences in ways that make her stand out. Sukeji's time at the National Women's Law Center was eye-opening as well. She discovered connections between health care, reproductive rights, and minimum wage. This spurred her to consider a career in health care policies and law. Networking with other people also gave Sukeji the opportunity to find people with similar interests. For her, that topic is public health. She finds herself talking more about this issue since her time at PLEN. As a result of her experiences, Sukeji is now more open and eager to what her future will bring. 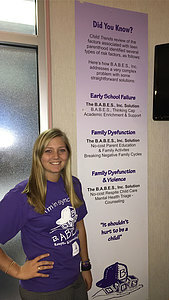 Ashley was a Parent Coordinator for B.A.B.E.S. Inc., a child abuse prevention program. She managed family caseloads, conducted new parent orientation meetings, and informed parents about what was going on at B.A.B.E.S. She also performed intake and discharge for respite care participants, held meetings with parents to enroll them in different programs that the organization offers, and much more. The internship reinforced skills she has learned in the classroom and gave her the chance to apply those skills to a real life scenario. The most rewarding part was interacting with families who were truly in need of assistance. Ashley has gained a lot more confidence when working professionally with others and is excited about her future in social work. During her internship at Handicap International, Marilyn focused on three main projects. In her first project, she created an email analysis report. She used analytics to determine what types of approaches helped raise the most donations. This project built on her economics skills, giving her the opportunity to apply course knowledge. Marilyn also handled messages sent from donors and supports of an Ebola emergency relief project in Sierra Leone. She was able to use her knowledge of several languages to translate messages sent from all over the world. The third project consisted of sending thank you letters to donors. Marilyn found this to be a vital aspect of communication with them. Donors continue supporting a cause when kept involved and up to date, and this is what she helped achieve. Through her experiences, Marilyn also learned a lot about the structure of non-governmental organizations. In the future, she wants to work to help reduce extreme poverty in developing countries. This plan includes working in a non-governmental organization that focuses on poverty reduction. She then hopes to attend graduate school and return home to Ecuador to work in the Ministry of Economic Development. Connor spent J-Term at the Freeport Police Department learning about the daily lives and duties of police officers. He participated in ride-alongs during both day and night shifts. He also worked with the detectives and drug task force team pursuing individuals using and distributing narcotics, a process that fascinated Connor. 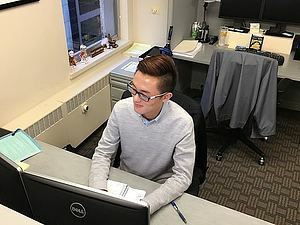 During his internship, Connor learned how patience and respect help facilitate positive interactions with the public which improved his communication skills. He also has a better appreciation for the hard work and determination it takes to build cases used in court. Connor felt rewarded by helping people in need and it meant a lot when people appreciated his help. Because of his internship, Connor gained insight into the world of abnormal psychology and saw how much work it takes to be a police officer. Connor feels more confident in his understanding of how a police department operates and will use this in his career search. 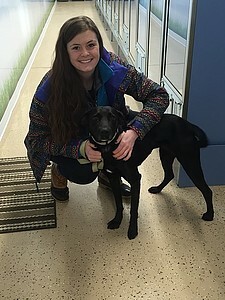 During January, Rozlyn interned at a non-profit thrift store/clothing center called Vine and Branches, where families and individuals can be referred to from social workers, chemical dependency programs, the court system, and other locations, for a one-time appointment. There, each family member receives three outfits - one of them an outfit for interviewing. 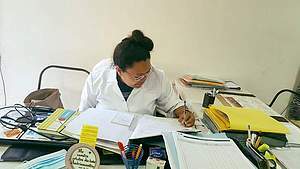 Daily, Rozlyn would sort donations, price items, arrange the store, input data into the computer system, and work one-on-one with the families and individuals. While doing so, Rozlyn learned how to run a non-profit organization by shadowing Heidi Johnson, manager of the organization. Through this internship, Rozlyn was able to break through language barriers when working with families that were refugees from Nepal, all while solidifying her plan to work in an international non-profit organization. Rozlyn learned that her voice matters even in environments that are brand new. 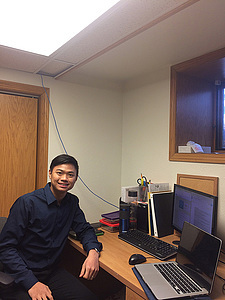 Fanding was an audit, tax and GIPS intern at Ashland Partners & Company. He learned how to audit, work on taxes, analyze finances, and use the software systems, Lacerte and Microsoft Office Suite. Another part of the job was to learn proper telephone manners which improved his communication skills. A rewarding part of this experience was the ability to connect what he learned at Luther to the real world. Fanding also believes this internship gave him confidence to ask questions and speak his mind in a work space. He is very grateful for the opportunity to gain experience working in the United States. 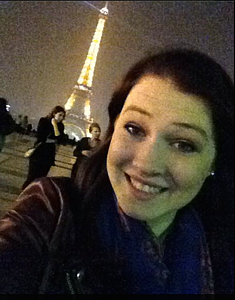 Kyla spent the month of January at Le Grand Théâtre de Tours, an opera house in France: the perfect setting for a music and French major. During this time, she was able to work with stage managers, technicians, and performers. Since she collaborated with so many people, Kyla found that communication skills were very important. She was surprised by how comfortable she became with French after hearing and speaking it all day. By the end of the internship, she felt confident in the language and was able to take the initiative necessary to be a successful employee. The most rewarding part of working at an opera house was opening night, when Kyla was given the best seat in the house and finally got to see her hard work and passions for French and music come to life. 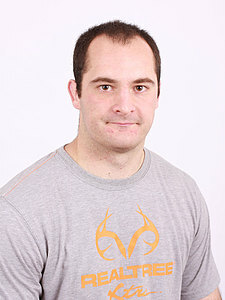 Ben interned at "The Game," an ESPN sports radio studio over January. His role was to record and edit sound clips, screen phone calls, handle promotions, and file information. Since his internship was in a live media setting, Ben learned how to perform in a high stress environment. 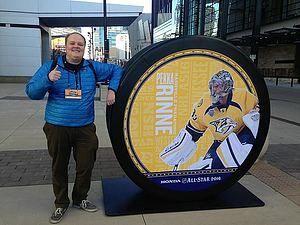 He was able to help out with tasks related to the NHL All-Star game which was the most rewarding part of his internship. He liked being a part of a big event and helping with the coverage. This was Ben's first time in the professional field of communications, and it reaffirmed that sports radio is the career for him. 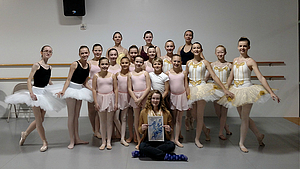 Abigail interned with a Yaro dance company, a professional dance company in Urbandale, Iowa. She wanted to learn how a company produces their shows and was glad that one of her duties involved attending board meetings. In these meetings, she learned about choosing dates, venues, and marketing techniques for a season of dance. She also assisted in dance rehearsal. That allowed her to compare Luther’s Movement Fundamentals courses to ballet. Other duties she had included costume upkeep, poster distribution, and being a stagehand during performance. The most rewarding part of her internship was when she saw her name in a program and knew she had done her part to earn it. Abigail’s internship taught her that she wants to be more confident in sharing her ideas because dance is a collaborative art form. 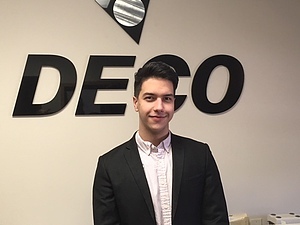 In January, Belal interned at DECO Products, a company that specializes in zinc die casting. As a data analyst, he gathered sales department data from previous years and filtered, organized, and visualized the data sets using Excel and other programs. He was exposed to different working environments by touring the plant and the manufacturing area to understand the data better. Belal improved his multitasking and interpersonal communication skills by working on many different projects. In addition to the unlimited access to free coffee, he enjoyed getting off campus and getting a taste of the real world. He found that interpreting big data into graphs and simple terms for managers is incredibly important. Because of this, he is extremely excited about the high demand of his newly-added Data Science major. Belal believes he personally grew through this experience and feels more prepared for life after graduation. 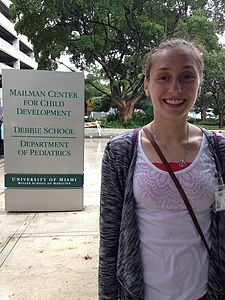 Tricia headed south for January term and volunteered at the Debbie School, an inclusive elementary school under the pediatric department at the University of Miami. Students at the Debbie school consist of those with physical and mental disabilities, who are deaf or hard of hearing, as well as children without disabilities. A number of therapists work in this school, including physical therapists. Tricia observed the therapy methods and realized how different they were from outpatient orthopedic physical therapy. She saw how individualized the plans were for each student. Many of the students had some form of autism, Down’s syndrome, or cerebral palsy, yet each required an individualized treatment plan. She found the internship informative, and it showed her a different side to physical therapy. Brady spent the month of January working with the high school ministry team at Wayzata Community Church. As an intern, he preached, led songs, and facilitated dialogue with high school students. He also experienced some of the behind-the-scenes aspects of ministry, such as staff meetings and tech work. Before the internship, Brady wondered when or how he would be able to bring his religion coursework into a career. 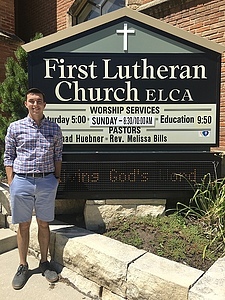 His time at Wayzata Community Church proved to him that the knowledge and critical thinking skills he has gained at Luther can be very useful in a ministry setting, especially when working with youth. Overall, he found the internship to be inspiring and hopes to pursue this type of work after graduation. Kristin had the opportunity to intern with the local magazine, Inspire(d), as a graphic designer. Some of the tasks included copy editing blog posts, managing the web page, and developing her own graphics for blog posts. She also had a paper project to work on where she created a kaleidocycle with paper and designed a step-by-step ad on how to recreate it. This experience made Kristin realize that she enjoys the nitty gritty of design work. She also improved her visual communication skills because now she can't help but analyze and deconstruct images. Additionally, she learned a lot about self-management because she worked on campus and met up with her supervisor every few days. This gave her the knowledge of what it takes to own her own graphic design business some day. She was also inspired to start her own web page and submit her art to galleries. Career Center maintained by Career Center. Page last updated on 13 December 2018.